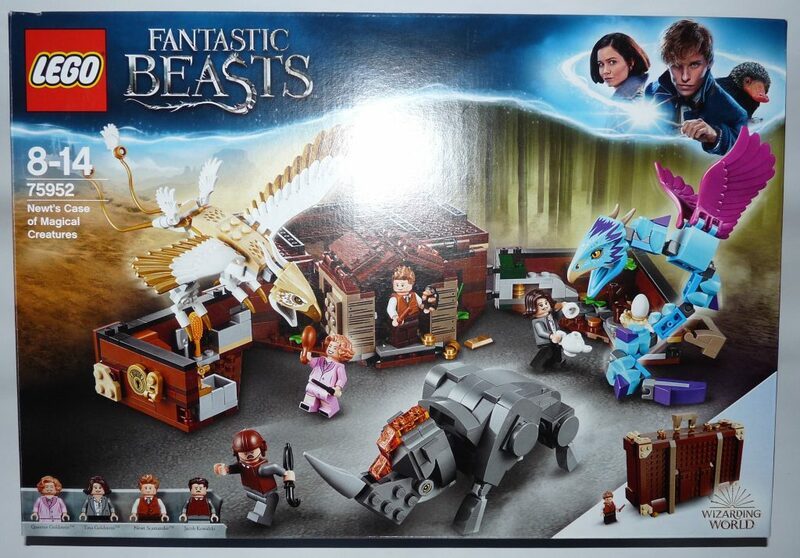 LEGO has surprisingly been producing Fantastic Beasts products since 2016. These coincided with the release of the first film in the Fantastic Beasts pentalogy: Fantastic Beasts and Where to Find Them. They released a LEGO Dimensions “story pack” containing Newt Scamander, and a “fun pack” containing Tina Goldstein. This year, LEGO have released a whole new line of Harry Potter and Fantastic Beasts to coincide with the release of the second film: Fantastic Beasts and the Crimes of Grindelwald. Today, I am going to be reviewing the LEGO 75952 Newt’s Case of Magical Creatures set. As usual, the instructions are crystal clear. There are 2 booklets, one for the beasts and one for the main build. The box that the set comes in is a nice size too, big enough to display the set on top of, if you so wish. With a very generous PPP (Price Per Piece) value, this set is undoubtedly worth your money. 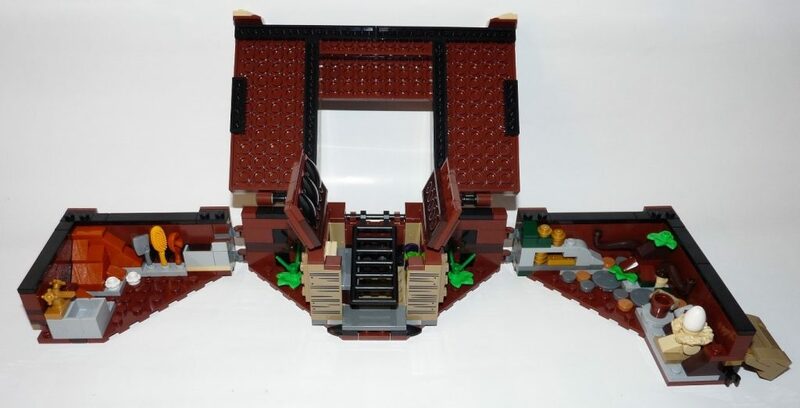 (Also, at the time of posting this review, many online retailers are selling the set for around £35.99, making it even better value for money). 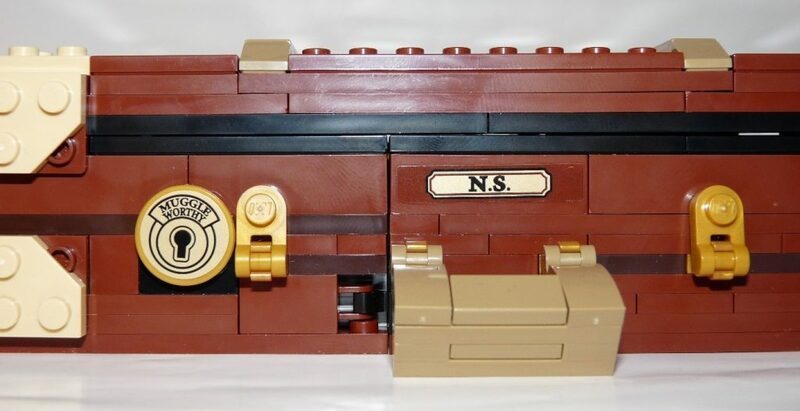 LEGO 75952 comes with a large amount of unique bricks and pieces, including 2 brand-new animal moulds for the heads of the Thunderbird and Occamy (Piece No. 38832pb01 / 38832pb02 if you’re interested). 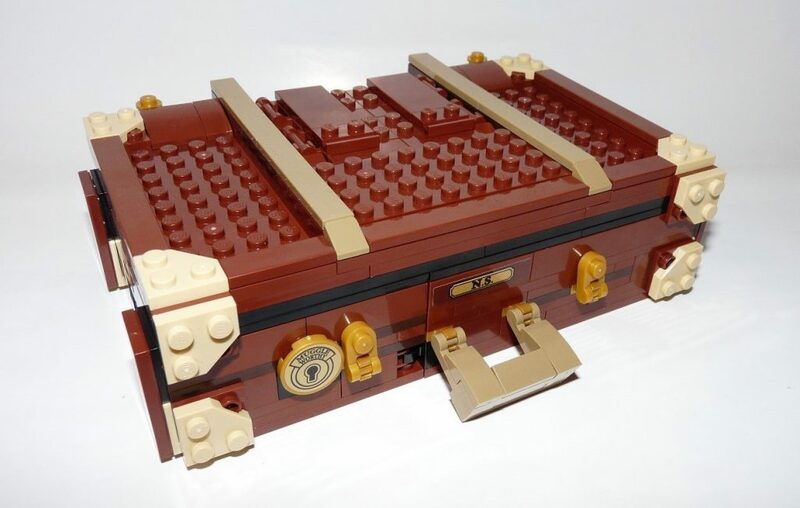 However, one particular piece I feel was missing was a minifigure-scale suitcase, like in the Harry Potter and Fantastic Beasts CMF series. 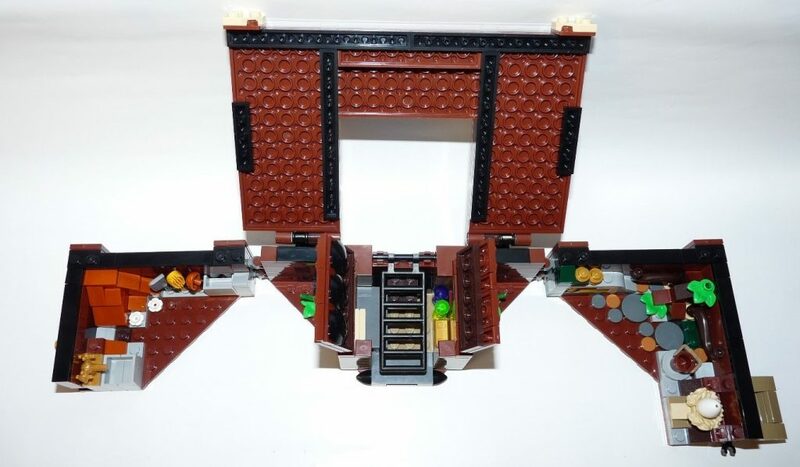 It could be used just for a nice comparison as well as having more fun, making figures walk into the regular-sized case which then transports them into the magnificent set. The set also comes with 4 delightful minifigures, which is the typical amount for sets of this price-range: Queenie Goldstein, Tina Goldstein, Newt Scamander and Jacob Kowalski. As is usual with set minifigures (compared to the Collectible Minifigures), the printing is ever so slightly better and the plastic is higher-grade. 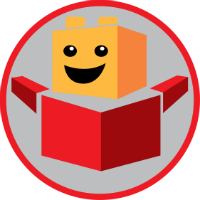 Each minifigure also has a double-sided face and at least one accessory. Queenie, Tina and Newt each come with a pair of wands, each of different colours. Tina comes equipped with a teapot, to catch any loose Occamy. Jacob has an umbrella, a helmet and extra hair piece. Newt’s accessories are his wand, his Bowtruckle, Picket, and also his Niffler (which is also a brand new moulded piece, the same as in the CMF series). Queenie comes with just her wand, which is black in colour, but there are various accessories around the set which she could hold, such as a hair brush, a cleaver, a leg of chicken or a bucket. My only gripe with the minifigures would be that Tina is lacking leg-printing (like her 2016 minifigure has), but aside from that they are very likeable and a must-have for any fan of the Wizarding World. 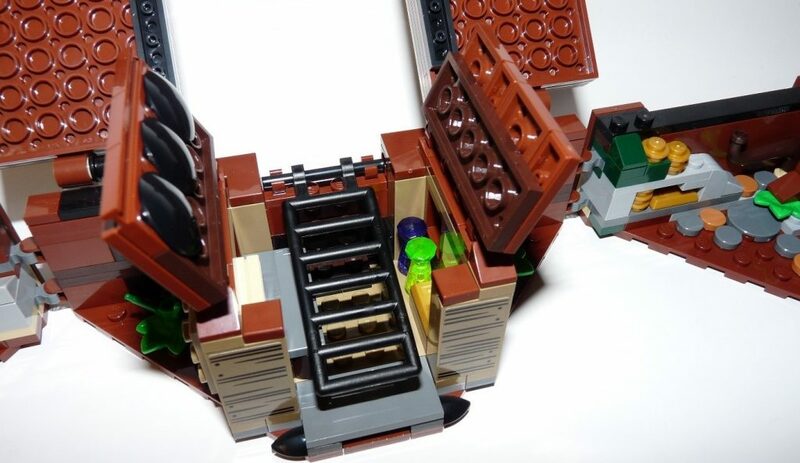 The Beast builds themselves are also very nice, being a large enough size comparative to the minifigures, but small enough to comfortable fit all three of them within the space of the set itself. For their size, they accurately represent the beasts from the first film: (L-R) An Occamy, A Thunderbird (Frank) and an Erumpent. They each have a pleasant amount of articulation, but the Occamy can be a slight struggle to make stand upright, being particularly top-heavy. Upon later reflection, I saw that the Thunderbird, Aka Frank, is intended to have his middle toes pointed backwards and his lower wings raised, but this just goes to show how much articulation and play-value these builds and this set has, as I normally don’t miss details such as this. As well as a great display set, Newt´s Case of Magical Creatures also makes an excellent play-set. There are a large number of items stored within a small space, so much so that it makes it feel so big! 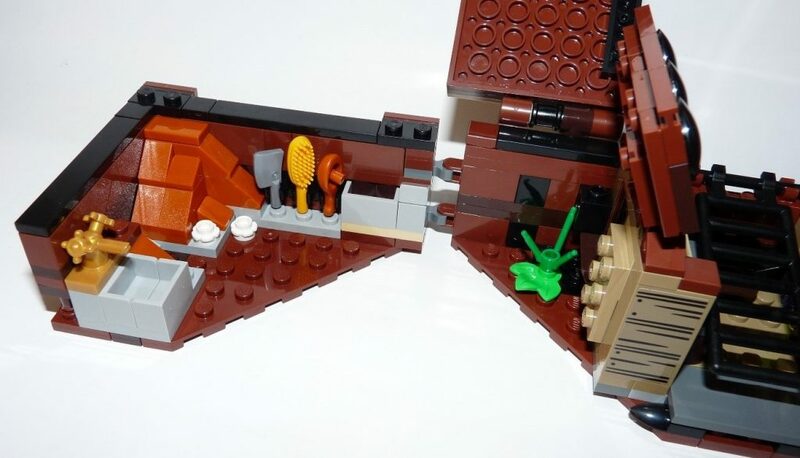 It features a water tap, trough and bucket to feed the beasts their water and food. Newt’s ‘shed’ area includes a couple of potions, some gold and a seating/sleeping area, as well as a stepladder out of the case. There is also a pile of gold (for Niffler), a small tree (for Picket, the Bowtruckle) and an egg in a nest. 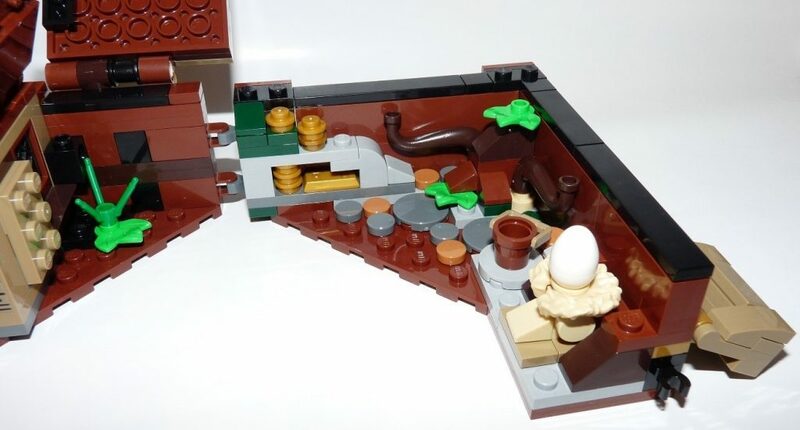 One of my favourite aspects of the 75952 set has to be how a minifigure fur collar piece is used as a nest for the egg. There are also a couple of small plants and a rocky area for the Thunderbird, Frank, to perch upon. LEGO 75952 Newt´s Case of Magical Creatures set reviewed. This set is a part of the Fantastic Beasts and the Crimes of Grindelwald film.